If you’ve been an entrepreneur for any length of time, chances are you’ve experienced the vicious feast or famine cycle. At times, you are so busy you can hardly keep up with your bookings and appointments. Then things quiet down so much that all you hear are crickets! So you stir up your marketing mix, and get busy again. This cycle is more common than you think! That’s why, on the latest episode of BernadetteTV, I’m sharing 4 marketing techniques and pricing strategies you can begin using right away to create a consistent flow of business, appointments, and income. There is no better thing to do in marketing than to make sure you have a consistent flow of new business – and the 4 marketing techniques I’m sharing here help you do just that. Grow your prospect list or customer database. How do you do that? First, get into the right mindset. For everything you do, day in and day out, you must ask yourself, “How can I use this to grow my list?” For example, if you publish an article in a trade publication or magazine, invite your readers to come on over to your website and enter their contact information. If you give a talk, don’t expect people to come up to you afterward and ask to work with you. Get them to raise their hands – offer them something like a free report or consultation and ask them to give you their contact details. Create opportunities that give people a chance to sample you at low- risk and for a low investment. I look at it like this: Imagine your prospect is on a dock, and you’re on a boat. Lower an onramp to make it easy for them to get onboard! It doesn’t have to be free, but it could be a lower-cost experience. For example, a therapist may offer an initial consultation at a lower rate, and then create a business model in which she offers a package including several sessions. Many entrepreneurs make the mistake of creating a great low entry offer but failing to create a mechanism for converting that interest into ongoing business. This is where the pricing strategies come into play. For example, a massage therapist may offer an initial session, and then upsell her client into a 6-session package. This way, she sells her service up front, gets paid up front, and supports her cash flow. More importantly, her clients get better results because she is able to support them longer-term. Create a system to win back lapsed customers. I consider a system something that Saves You Time, Energy and Money (I know, pretty clever, right?). A system happens without you having to think about it. Whether you create a monthly postcard to send out to all past clients to get them back on board or a newsletter that keeps you at the top of their mind, create a system you can hand off to an assistant who can handle it for you. I think you’ll find these techniques are simple. They’re also really powerful when you use them consistently! What’s been your experience when it comes to using some or all of these techniques? Leave a comment below – I’d love to hear from you. [spoiler]Hello, and welcome to Bernadette’s TV. 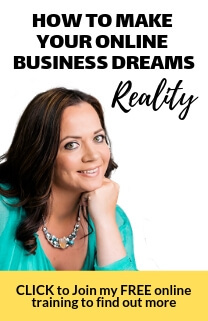 On-line TV to help you be the best you can be in your business and your life and today we’re covering how to solve your empty calendar syndrome once and for all. You know, many of the people I help are people who are selling their time, so I work with people like consultants, coaches, and therapists. And one of the issues that they present to me over and over is, Bernadette, I suffer from feast and famine. Sometimes I can have really busy weeks or months and other times it’s like the calendar’s empty, but the trouble is if I don’t get the booking, I don’t get paid. Well, the good news is, you don’t have to suffer with feast or famine. If you can relate to this challenge, there are four simple things that you can do that, if you do them consistently, will solve your empty calendar syndrome once and for all. When I started out in sales years ago, the model of prospecting was that you would go, you’d approach a prospect and if they didn’t want to buy, you just moved on. The trouble is that there is a lot of waste with that. And, very early on when I started my own business I was introduced to the idea of get people to raise their hand and then follow up consistently with a smaller group of people who expressed an interest. And now, almost 20 years on, there is honestly no better thing that you can do in your marketing to make sure that you have a consist flow of new business coming in to you. So, how might you grow your prospect list? The good news is there are many, many ways to grow your prospect list, but first of all, you have to get into your mindset that every single thing that you do, day in and day out, you want to be asking yourself, how can I use this to grow my list? So for example, let’s say that one of the things that you do is you write an article for a local publication or trade magazine. These are things that I did when I was starting out. What you want to do at the end of those articles is always invite people to something that will encourage them to raise their hand to make there selves known to you so you can grow your list that way. Or, maybe you give talks. Well, don’t just give a talk and expect people to come up at the end and say, “That was fantastic, can I hire you”, or “Can I book a session with you”. Whenever you give a talk, always give people a reason to raise their hand. Offer them something that you can give them in exchange for their contact details and actually, right now, there is a link on the screen that will take you to a video I did especially about getting business from talks. So those are just a couple of things that you can do to grow your list. But, you want to have an attitude of constantly growing your prospects day to day. Now, the second thing that you can do is to create something that makes it really easy for people to sample you and what you have to offer at low risk. So, I also like to think of this as like, if you want the person you want to sell to is on the dock and you were on the boat, you would lower an on-ramp to make it easy for them to get on board. That’s how I like to think about something like this. So, it doesn’t have to be something that’s free. It could be something that’s a lower cost experience. So, for example, I have some therapists who are in my coaching program at the moment, and what they do is they offer people an initial session at a lower price and then, when that person comes in, they have a model in place to up sell them into a package of sessions. We’ll go over more about that in just a moment. Or, I know someone else who was selling to businesses and he was a trainer going in to do communications skills training. And he noticed that many of his companies were hesitating about saying yes. So to make it easier for them to say yes, he said, “You know what, I will come in for half a day to work with your team and you can see how I work and if this is going to work and if you want more, we can book a series of days”. So, both of those are examples of making it easy for your prospects to sample you at low risk. Just in case you’re thinking, oh, but Bernadette, I tried that and it doesn’t work, here’s why it doesn’t work. Because you can’t do step number two without also doing step number three. And, step number three is to convert first time buyers into repeat customers. So, I can see many people out there making this mistake where they have that low entry offer for people to sample their service, but then they have no mechanism for converting that interest into on-going, repeat business. You absolutely have to have this in place. So, for example, I know of a massage therapist who will do an initial session and then, at the end of that session, she up sells her clients into a package of six sessions. Now, just think about the difference that makes. Suddenly, instead of having people come on a one off basis, she has sold upfront, and being paid upfront for a package of six sessions. And the truth is, this means better results to your clients, it supports your cash flow, it means that you can work for them longer, and you can really support them in getting the results they want. 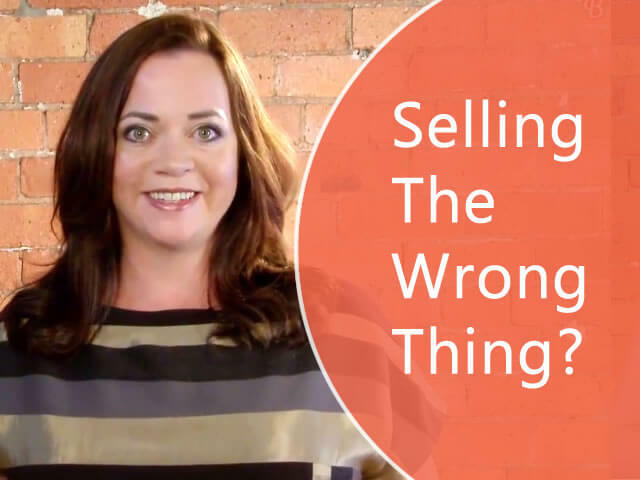 So, you want to have something that you can move those first time buyers in to and then, you need to have a system in place so that you can up sell them. That actually means having a conversation and talking to them about how they continue working with you. I have systems in place for recapturing lapsed customers. You know, many people, especially if you’ve been in business any amount of time, will pull from you, but have somehow fell off your active customer list. If you have a systematic way of getting in touch with those people and encouraging them back, that is business that is right under your nose every single week, every single month. All that’s required from you is to reach out to them. Now, you’ll notice that I used the word system in there, because the word system stands for save yourself time, energy, and money. And a true system happens without you having to think about it. So, if right now, your only way of getting in touch with lapsed customers is that you think about it and, and you go, oh, I must email them, and I must pick up the phone, it’s never going to work because the moment you get busy or you get distracted by other things, you’re going to forget to do that. So you want to make this systematic and on-going so it could be the first of March, or the first of April, or the first of every month we have a postcard that we send out to all past clients with some special offer to get them back on board. Once you have a system in place, you don’t even have to do it. You can hand that off to an assistant or someone else to manage for you. So there you go. Those are the four steps to guarantee that you will never, ever suffer from feast or famine and it will solve your empty calendar syndrome once and for all. Let’s just do a quick recap. Step one, reach out and build your prospect database. Step two, do whatever you need to do to get people sampling what you have to offer at low risk and low cost to them. Step three, have a system in place for converting first time buyers into repeat customers. And finally, step four, put a system in place for winning back lapsed customers. Thanks Julie – thrilled to hear how you are getting on with Step-by-Step! Wonderful advice as always. And the ending was so cute…loved it! The problem is that I work as a Psychic. I also do Metaphysical healing, etc. .. I have just started watching your on clips, I am finding them quite helpful. With this clip in particular , I am a consultant that sells predominantly one product, which makes repeat business hard, do you have any tips to help this in terms of keeping the diary full. Hi Bernadette, How does this apply to B2B sales? I’m an internet marketing consultant and I like your ideas but how do I apply this to what I’m doing?